Muneshaal is a 11 year old boy. Muneshaal's father does not own any land so relies on occasional work on other farms to earn a living. He has no regular income which means secondary school education for his son will not be possible without assistance. Muneshal is a remarkably articulate, intelligent and self-composed young man, with obviously great potential. 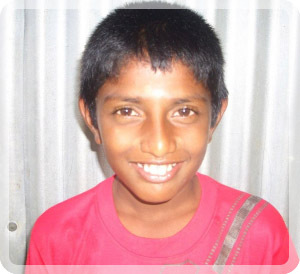 Muneshaal enjoys attending school and his favourite subject is English. When he is not at school he loves to read books. Muneshaal travels to school each day on foot, a distance of 2km each way. When he grows up, Muneshaal wants to be a school teacher. Muneshaal is a very bright and extremely self-motivated person. Financial assistance will be a great help to him. Muneshaal is currently receiving the education every child deserves.